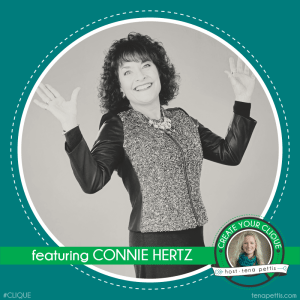 Connie Hertz has an engaging presentation style that will captivate your group from the moment she starts speaking. Her inspiring stories about overcoming obstacles offer practical tips for people ready for change. Her signature speech and workshop – “M.O.V.E. 4 Ways of Getting Unstuck and Living the Life That You Love℠” will inspire you to live the life that you love. Listen to Connie explain in this video about the deeper meaning of M.O.V.E.℠ – “Movement, Ownership, Verbalize, Expand”. Focusing on her own health, nutrition and dedication to exercise, Connie now teaches others how to live vibrant lifestyles by following their dreams. As a Certified Dream Coach, her practical tools and techniques have transformed the lives of her coaching clients, readership and audiences. Her inspiring videos and interviews can give voice to what you can expect when you engage Connie’s services. Gifted Wisdom – Connie Hertz from eWomenNetwork on Vimeo. 1. Connie a dream coach, and I don’t mean the slumber type. She takes biz owners dreams and helps make them a reality. 2. 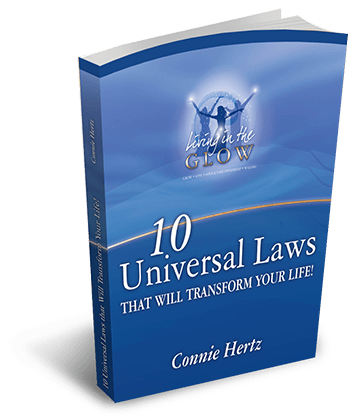 Whoa – Connie went through some serious trauma in her life. She shares some deep stuff that I am sure others can relate to. 3. She not only shares the trauma but she also dishes on how she got unstuck. 4. This woman is trademarking everything – I love just hearing about her dreams that she has pushed into reality. 5. I am 100% labeling her the Queen of Acronyms. The fun ones. 8. Connie is a TRUE friend. She has lasting relationships dating back 50+ years! 9. Oh and get this… she feels 30 again. This story rocks. 10. Life Lesson »»» Connie chooses to see the good in people. Key word: Chooses. Be sure to hear Connie’s inspiring story in an interview on the international radio program, Soaring Further. In this interview, Connie teaches how we can M.O.V.E.℠ through tough times. Connect with Connie today to engage her for your next event!